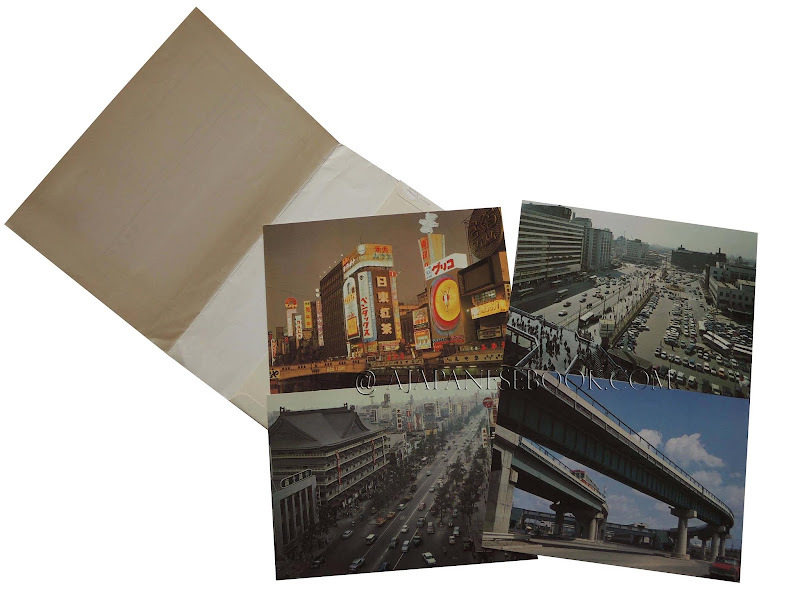 Description — 8 color postcards (14 x 10 cm) in color pictorial folder. Captions at the back in Japanese and English. État / Condition — VG (light wear to folder, otherwise excellent). 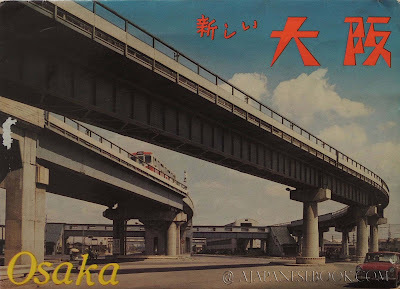 Remarques & avis / Review — A fine set of 8 color postcards depicting the 'New' Osaka of the 1970s! 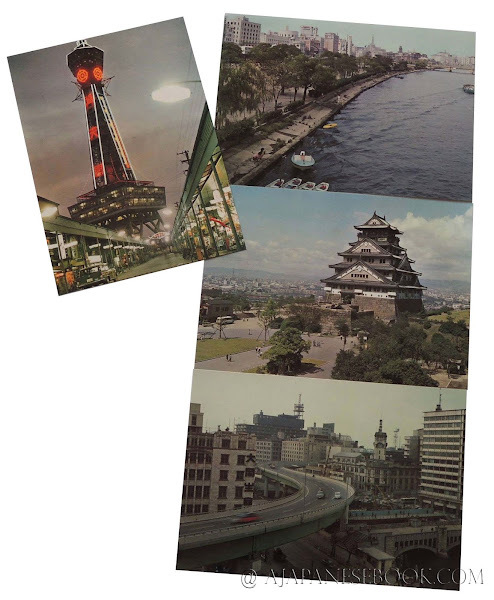 Tsutenkaku Tower, Kabukiza Theater, A Rapid Transit Rail Way, Osaka Castle, Osaka Station, Dotonbori, Hanshin Express Way, Nakanoshima Park.